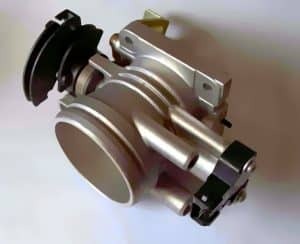 The throttle body is a highly significant auto part that plays a key role in the proper functioning of a vehicle. It controls the amount of air that is allowed into the ignition chamber. The air’s path is blocked by a small circle that flips slightly or completely depending on how hard you press the pedal. The throttle body is therefore required to be in tip-top condition. If it is slightly compromised then your car might not idle properly. Fortunately, there are ways to solve this problem that do not involve spending a lot of money. We are here to help you out by showing you the best way to clean a throttle body. Only the basic tools are required to undergo this DIY operation. Such tools might be available in your home if you are fond of DIY work and regularly do it, if not, you should make a few purchases before beginning with the task at hand. You need some necessary materials to carry out this exercise. These materials can easily be found at a home store. The throttle body cleaner is one material that is absolutely necessary for proper cleaning of the throttle body. There are many cleaners available in the market but it is absolutely necessary to get the best one otherwise your engine could be at risk. We will talk about the best throttle body cleaner later in this article. For now, let us focus on the process of cleaning. Disconnecting the air duct from the throttle body is the first step you should take. The air duct basically looks like a hose so it would not be difficult to locate it. It is usually connected to the business end of the throttle body – the part where it breathes air. Unscrew the air duct from the throttle body and make sure to mark any openings and electrical connections that might be going through the air duct. The next step is to spray the throttle body cleaner in the opening. Take note that the throttle body’s opening is protected by a butterfly. You would need to locate the throttle cable and pull it in order to open the throttle. Once the throttle is open you need to place the throttle cleaner in the opening and spray hard. Make sure the cleaner does not go to waste. The third part is the hardest and most complex. First off you would need to arrange an air compressor. Once you are done with that you would have to hold your hand steady and spray air inside the throttle body. The compressed air will dry off the throttle cleaner liquid and save it from catching dust. Lastly, you have to use the paper towel or cloth to clean the outer most part of the throttle and then fix the air duct back in its place. Make sure you are placing all the relevant electrical wires and equipment properly in place and that you are sealing the air duct tightly. A throttle body can’t work properly if the air duct is not sealed properly. And that is it! You have cleaned your vehicle’s throttle body. However, one question yet remains unanswered. What is the best throttle body cleaner in the market? Let’s find out. Shall we? As we have said before there are many throttle body cleaners in the market that it is difficult to distinguish a bad one from a good one. Here are some of the best cleaners on the market. The CRC brand name is widely popular among car enthusiasts. They make top-grade throttle body cleaners, so there is no doubt about their product’s performance. Most professional mechanics also use this cleaner and prefer it above others. The CRC throttle body cleaner works swiftly, once sprayed and unclogs the lines leading to the combustion chamber. If you use the CRC throttle cleaner your engine will get a new life. The 3M brand name is no stranger to performance. The company makes such great products that usually there is nothing else in the market that can beat them. Their throttle cleaner is one such product. The spray can is easy to use and does not harm any electronic equipment like sensors that are placed in various parts of your car. The Berryman Throttle body cleaner is a top-grade product that is built to eliminate all the dirt and carbon deposits from your vehicle’s throttle body. 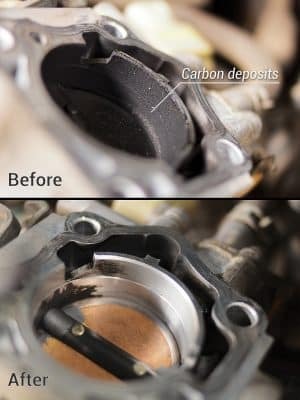 Once the throttle body clears the entire residue your vehicle becomes as good as new. You can press the throttle the max and you won’t feel any lag in acceleration or experience rough idling. Mag is another notable mention as a throttle cleaner. The throttle cleaner has a very ergonomic spray can which makes it easier for you to spray the product into the desired crevices. It is perfectly safe to use in the presence of sensors like the oxygen sensor. Furthermore, you can also use this cleaner to clean electrical sensors that can become weary after extensive use. There you have it, our list of best throttle body cleaners. We did not choose one because we do not want to restrict your options. The more options you have the better it is for you since you can then compare the prices of the different products and the one that you seem suitable. It has to be noted that no throttle body cleaner is a replacement for proper engine maintenance. While the cleaner gives a new life to the engine it is not advisable to use it frequently. Too much product in the system can actually cause harm to your engine in the long term.